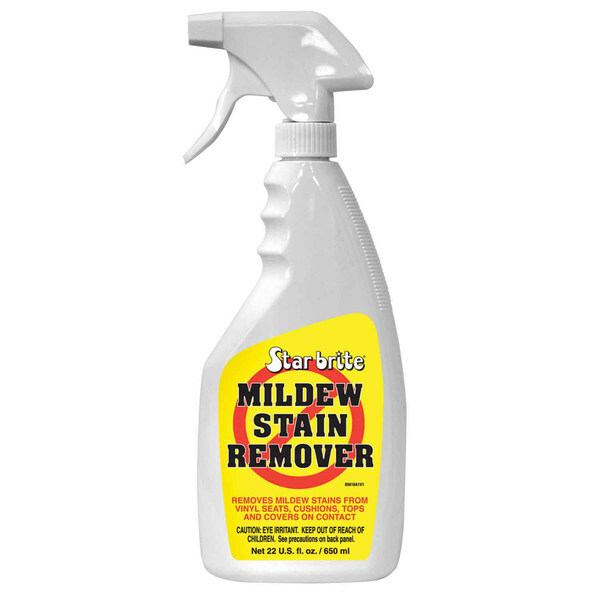 The number one enemy of mildew stains everywhere! This stuff works great on vinyl cushions, covers and other vinyl surfaces. It's very effective for removing mildew stains from fiberglass in hard-to-reach locations such as under boat cabinetry and inside chain lockers. Set the spray adjustment on the trigger bottle to a long-reaching spray, give it a squeeze—and watch as it eliminates the stain!